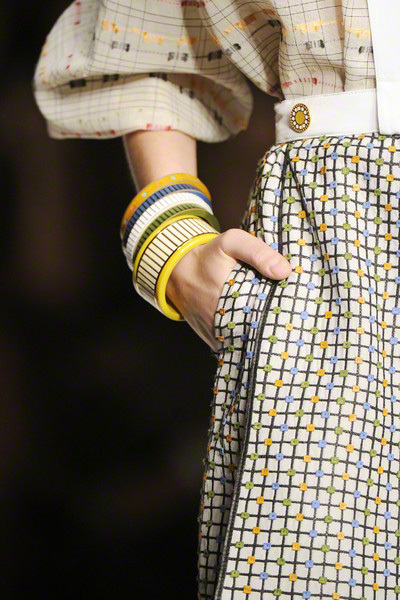 As the seasons change and every once in a while we go from skinny to flared jeans and from round to pointed shoes, we also change from subtle bracelets to chunky bangles. 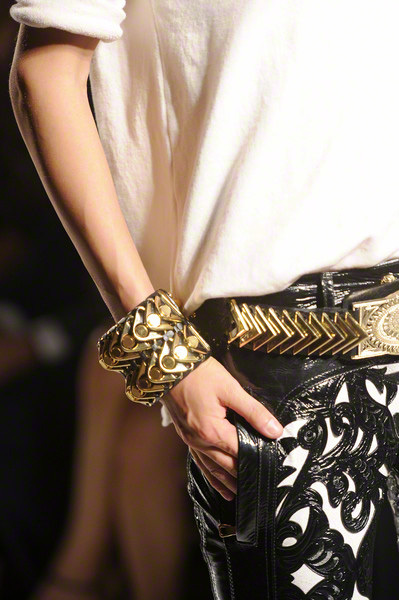 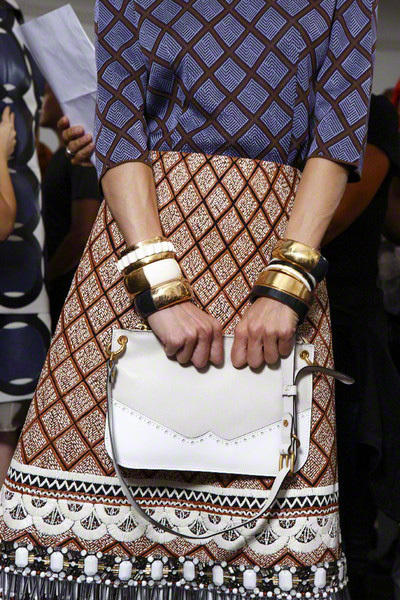 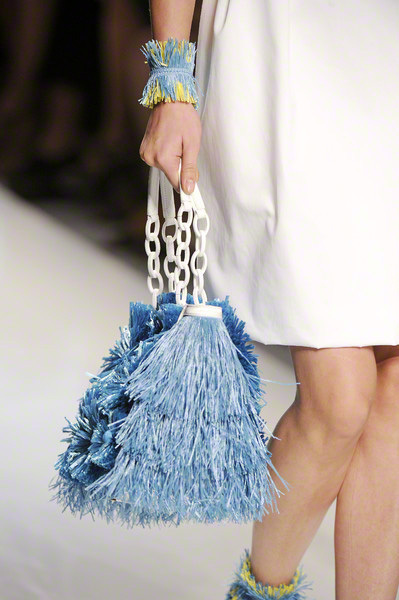 And this summer, so it seems, it’s all about chunky jewelry. 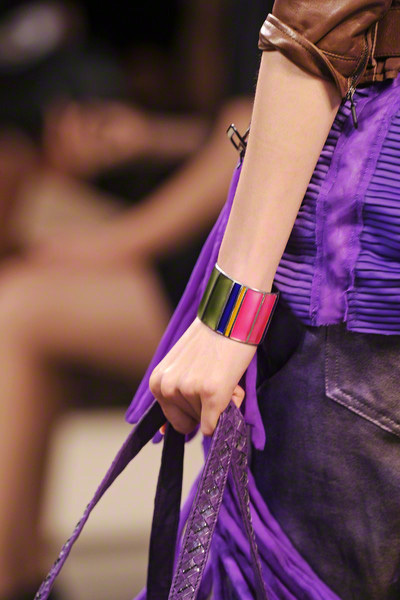 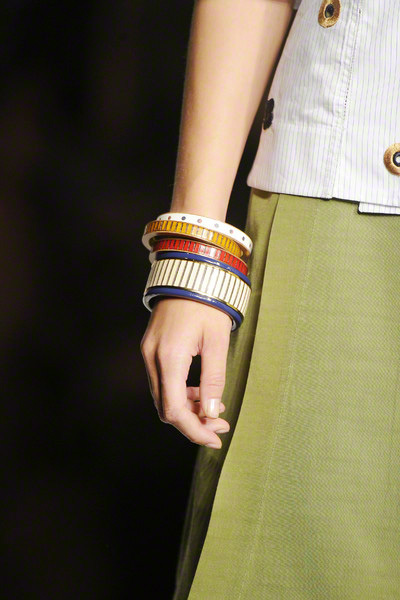 We saw the eye-catching necklaces at Marni and the larger than life earrings at Blumarine and now it’s time to cover your wrists with big bangles. 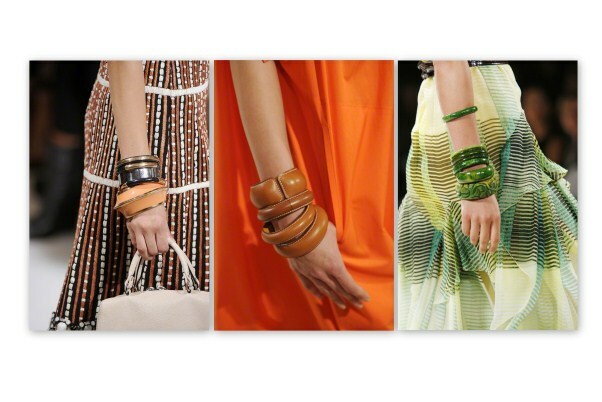 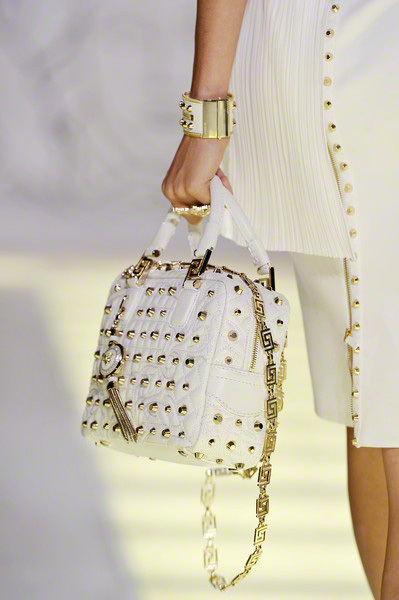 Choose for multiple ones like Bottega Veneta, Hermes and Carolina Herrera. 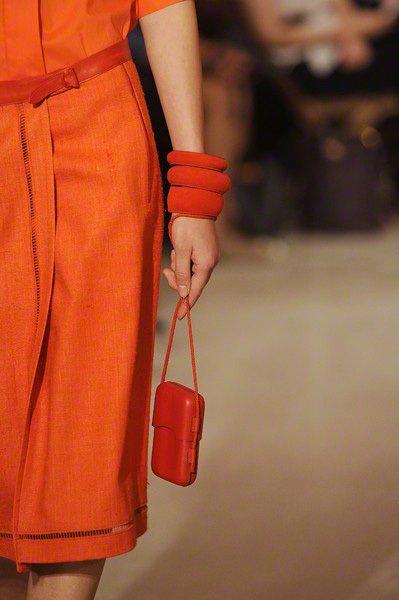 Also, opt for color (we spotted orange, red and green ones) and maybe add a touch of gold (like we saw at Balmain) to bring it all together. 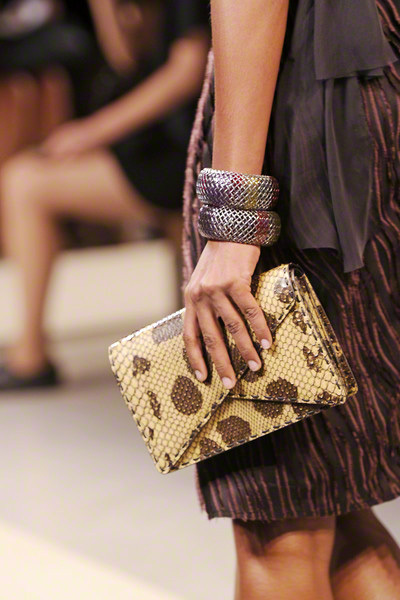 Whether they’re made out of leather, wool, metallic or wood; whatever suits your look the best is just fine. 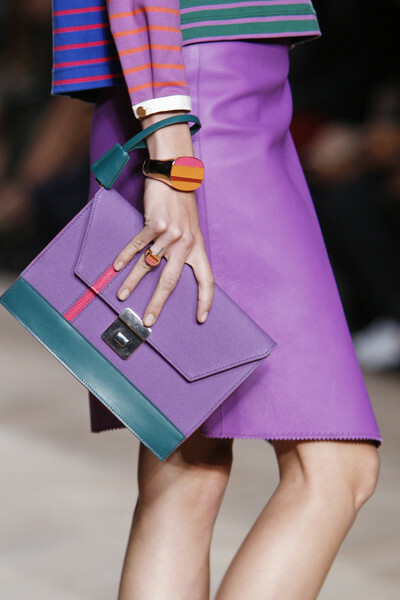 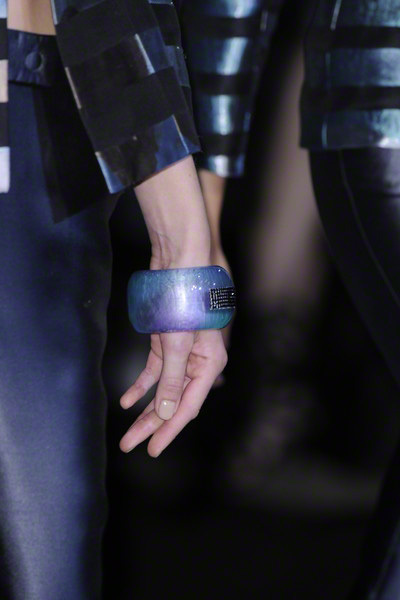 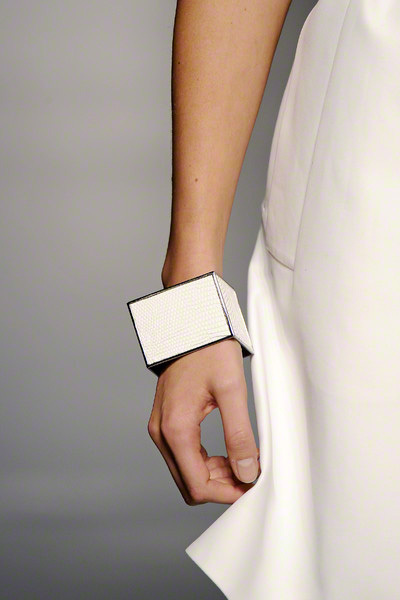 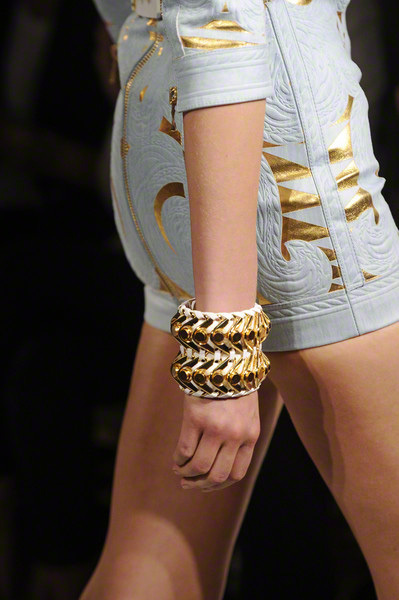 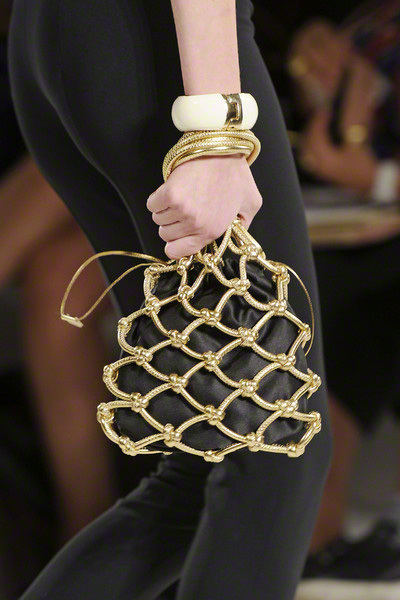 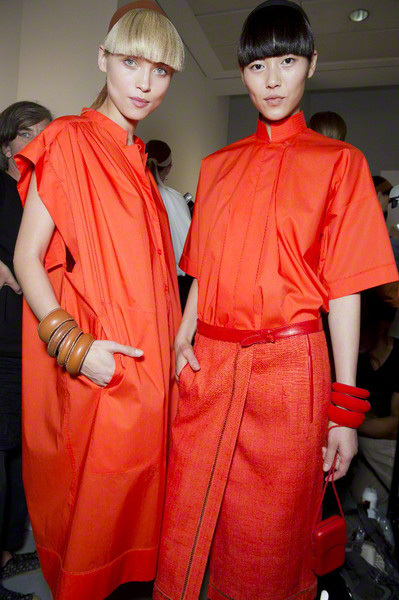 They don’t even need to be rounded; Gianfranco Ferré proved a square bangle can be just as much fun. 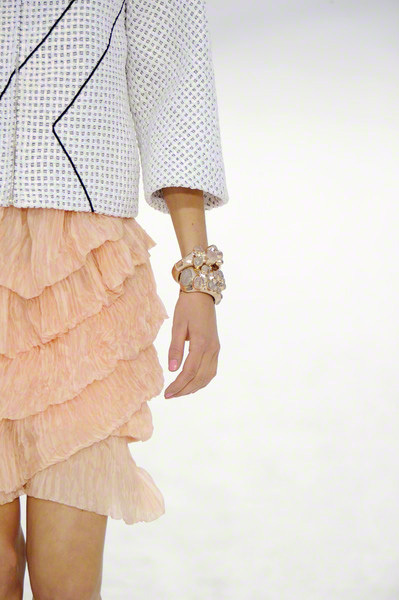 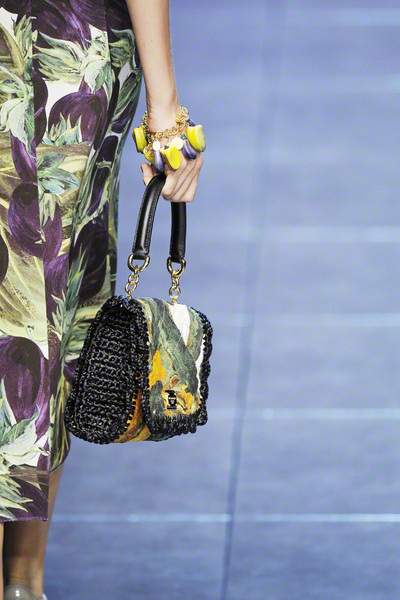 Also, Giambattista Valli showed a few animal inspired examples that were even more creative. 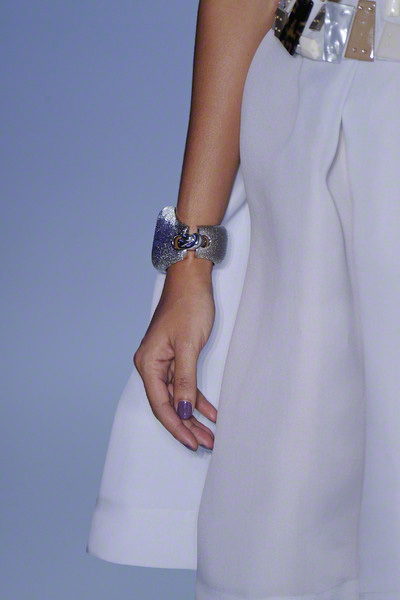 Whatever bracelet you pick, there’s only one rule: don’t hold back! 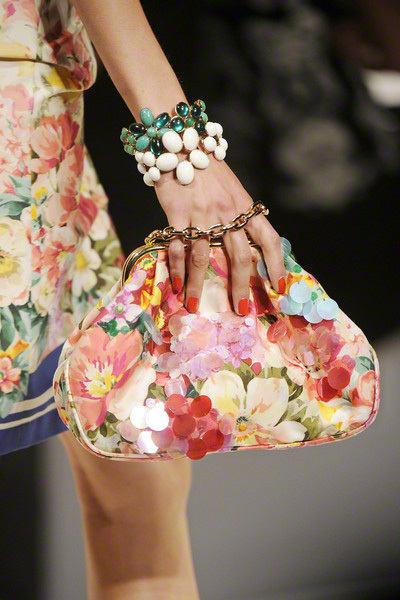 The brighter, the bolder, the better.